Seduction, elegance, duty: a Lexon item is an applied emotion. A function that may be read, gets heard and calls for caresses - its expressions change quite often, because enthusiasm requires restless care. These are refined colors, matt metals facing excited day glo. And these are rubbers as colorful as puppies play balls. The unmissable distinction of an anodized aluminum. Serenity translated by a carefully chosen wood scent: as many nuances of lines, colors and materials, all being distinctive and adequate answers to a precise requirement - tame the mess and travel, waking up or meeting. Identifying the intensity of a moment. The nature of a place. The quality of the activities that go on, there and then. That object we are looking for tends to be elemental - it brings an information, it lightens and organize, feed, carry. It wishes to become as essential in its design as it is in the mission it fulfills. Be it household, office ware or efficient travel wise, we consider this collection as series of attentions and as many clues of change. Some of them are modest in their duties, others may be more strategical. All of them, in a different manner, are happy objects. THE LEXON DESIGNERS Because of existing affinities between beings and objects, Lexon has always collaborated with the best designers in order to rethink the simple objects of life. Each person can draw froom those objects the daily feel of his personal environment, be it professional or private. Into all its useful or functional objects Lexon infuses an aesthetic built on creatility and rigor. 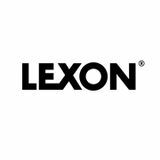 Recognized throughout the world, Lexon regularly receives distinctions in recognition of its contribution to international design. history: in a bag or an umbrella, in a common item which seems to be close to immutable. Definitely an elementary function, though we all know how important it might become, at that precise moment when it is necessary. Precision and a deliberate temper are the main degrees of these items temperatures, Capsule Umbrella and Hybrid Pouch: wise integration of concealed features and details feed a genuine personality. Without added commentaries, Shoji Ito’s bag and umbrella tell a story of inconspicuous legitimacy, of cool efficiency. as a tool. Nothing here that protrude or glow: the instrument is a discreet jewel. It doesn’t need to be conspicuous, never calls for a noisy celebration of its abilities design is silhouette and volume, balance and density, dynamics supported by details (surfacing, material). Necessary and sufficient, laconically dense. Its refinement leads towards romanticism. Its tastes like a spy girl’s own devices, inevitably modern. Eugeni Quitllet - Eugeni Quitllet was born with the ability to master the codes of irresistible seduction. Substance and light, transparency and opacity, the play between functionality and illusion. A lexicon of objects, superbly framed to reveal perfectly practicable pieces which are the territories of dreams. Through these challenging collaborations, Eugeni Quitllet manages to extract tangible identities out of arti cial fragments and dreamlike evocations. His realisations have become integral to the most in uential curators’ collections. Elected Designer of the Year 2016 by Maison & Objet (Paris), the Spaniard’s relationship with Lexon continues to manifest as elementary expressions of tasks performed in both of ce and home. The magical pathway of design which brings simplicity and emotion to the fore. Marc Venot - Small objects, such as of ce accessories, and the simple functions they serve are places which harbour an incredible concentration of attention to detail. Precision which becomes ever harder to achieve as space becomes more limited. Marc Venot’s work realises intention by manipulating objects to make their features fully meaningful to those who use them. These represent the successful marriage of ideal functionality and evident grace, made possible through practical sensitivity. Luca Artioli Mikiya Kobayashi - Hibi is new to the Lexon tribe, and it feels immediately at home. It stands in a line of objects belonging to that long history of references and shapes which call for instantaneous familiarity. A way to consider what’s new as sensitive hospitality: it reminds of fantastic and technical memories at once. It is a fragment of a complex mechanism, design that evokes vibration, a mastered expression of a function: its powers are shared between emission and reception, prehension and identification. Material and volumes accomplish what’s left. Tamed emotions, fitting with the designs of an accomplished designer. - Flexibility and movement, the ease of use achieved through precision in design. Values which are integral to Lexon’s identity, that clearly exist in Luca Artioli’s luggage collections. This impeccable consistency continues into the next generation of models which re ect the tides of change as they adapt to new formats, new technology tools and different modes of travel. What we have gained in lightness has been conducive to satisfying demand for higher capacity. It takes the experience of an Italian designer who’s been in the game for more than twenty years to successfully combine an accessory’s elegant ef ciency with the appearance and importance normally associated with clothing. Marc Berthier - With Tykho Speaker, an exercise into breeding. Father of the blessed Tykho radio set, as moving as ever, Marc Berthier imagines parts of its enlarged family. An identical concentration, an elementary feeling: the art of composition, an identity which stands on the thin line of something very common and deeply known. Material, shape, colors - once the archetypical design is clearly identified, the efficiency of its contemporary design lie in the precision of its details. - Mathieu Lehanneur is one of those rare designers of his generation who is able to embrace a multitude of different elds. His innovation through objects and magical architecture blends design, science, art and technology in a truly bene cial way. Mathieu’s creative inspiration is based on the notion that we are beings whose needs are far too complex to be satis ed by something as simple as a chair. Living better means breathing better air, consuming more environmentally conscious food, enjoying good health and, most important of all, possessing the desire to live a better life. Philippe Tabet - A wish to reach an expression of a fuller kind, careful to anchor the object into that story which is already its own, or the one that is to become its own. Circumstances which take part into that elaboration, crystalizing its inner dynamics and peculiar spirit, are born out of patient and vigilant observation. Combining the powerful qualities of a design to its simplicity: a discipline of sensitivity and refinement, rarely met on an industrial design level. Hector Serrano - Having grown up in Spain before moving to the UK, Hector Serrano’s feel for design has been nourished by the crossing of different cultures and working methods. Now, with the whole of Europe feeding his inspiration, he has adopted a position which is simultaneously brilliant and discreet. Hector’s work across a diverse scale, from a beautifully sculpted Lexon alarm clock to a London bus, turns ideas into reality so they can be forever inscribed in time. and Jeremy Wright founded their studio, DesignWright, in 2005. Their approach, which is driven by a desire to simplify how objects look and function, is supported by a background in engineering coupled with solid understanding of the manufacturing process. Ranges of kitchen and homeware products designed by the brothers for clients including Lexon, Joseph Joseph and Normann Copenhagen have established DesignWright as an innovative, intelligent company respected by industry and public alike. identifies a spatial function that comes as an echo to telling the time, that clock’s decisive first duty. Elementary design, as a deliberate decision: a disc, or how to embrace time in a classical manner, answer its constant repetition and unremitting way. Clock hands become a sign, as a function, or an answer precisely checked, ticked. A young designer from Guatemala, Jessica Herrera is just beginning to develop a design personality on a line which brings together luxury and elementary accents. Claudio Gatto - The Bolla lamp tells what it is and the purposes it serves, the places it’ll enjoy, through its features and colors, the nature of its details. It erases distinction between what’s hung and stands, mobile or stable. A friendly shape that move further Claudio Gatto’s line of work in these two short years since he graduated in design. Translating a passion for fluidity and lightness of solutions: one would find difficult to resist the idea of looking for venetian origins in order to understand the liquid accent of his quest. Theo Williams - Through an approach that’s seen him transcend boundaries between design disciplines, Theo Williams brings a different perspective to everything from products and furniture to print, packaging, retail and brand development. His talent for provoking new ways of thinking enables retailers, brands, buyers and manufacturers to better realise their goals. Theo is currently putting his extensive experience to work inspiring a broad spectrum of international brands and labels. elementary volumes, the simple geometry of shapes: an organization which promises to allow the elegance of what’s visible. It is focused on these tiny elements of the office paraphernalia, centered around the irresistible tropism of the desk mess which is part of their identity. A sharp and soft design, supported by precise materials (aluminum, ash), would underline the ritual nature of what’s at stake on that desk surface. They may be read as an urban articulated proposal, table architecture, small scale model of a larger project, eventually much broader. Fellina Sok Cham - French architect and interior designer Fellina Sok Cham graduated in 2010 in Paris. She then ventured to Asia, where she worked on a numerous succession of interior design projects. From 2012 to 2013, she collaborated with Lexon on a new collection in Paris. Today, based in Phnom Penh, her projects mainly focus on the use of space, combining lightness and movement in buildings ranging from apartments to a museum. Each of Fellina Sok Cham’s architectural endeavours can rightly be considered as a unique object. 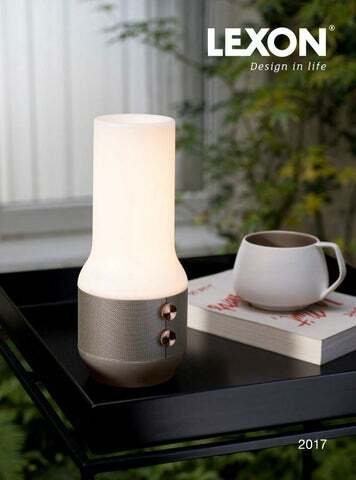 - Kazuya Koike graduated in product design from Osaka Design College in 2003. From 2003 to 2012 he was chief designer at Ideaco, a design studio in Japan, during which time he won several awards including an iF Design Award and a Good Design Award. In 2012 he established Doogdesign, through which he has been engaged with many projects both at home and abroad. Valentina & Simone Spalvieri - The Spalvieri / Del Ciotto studio is a place where ideas, research and experimentation meet. Characterised by simplicity in both the formal and functional sense, while incorporating a high degree of sensitivity, their work is based on the idea that every object should be a re ection of experience that can be passed on to future generations, thereby preserving a piece of our history. The duo creates objects intended to humanise new technologies and new materials. By using design to generate understanding, they enable people to make better use of these in everyday life. Ionna Vautrin - Ionna Vautrinâ&#x20AC;&#x2122;s work is where poetry and industry come together. When designing everyday objects, her goal is to bring an element of surprise to the simple and obvious. Combining both geometric and organic forms with a playful and colourful spirit, her projects deliver intuitive functionality while exuding a warm and familiar presence. stands out as an exemplary achievement of its kind. Its main features seem to be three - they are related to light, power, sound. Though the first goal it answers may actually be sharing and supporting conviviality, a much more demanding task. The shape of a kerosene lamp glass chimney, works as an historical shortcut which brings together a smartphone (in need of a spark) and a lighting (from a forgotten age): in this quick synthesis one can find an alchemy of design, one that proposes to stay together for a longer time.